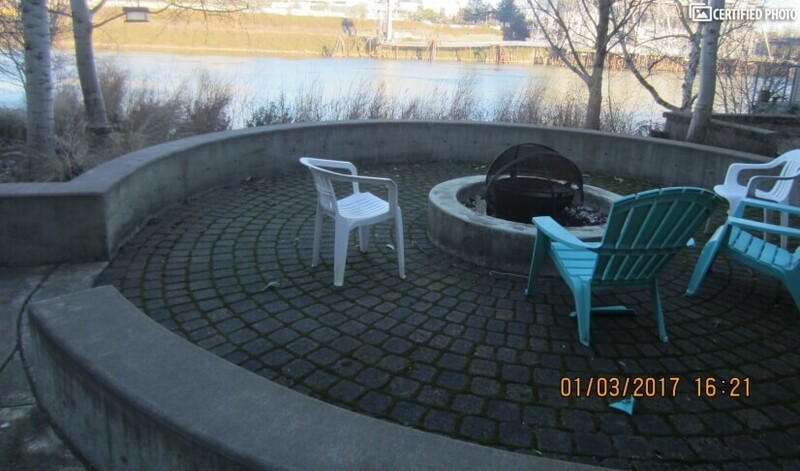 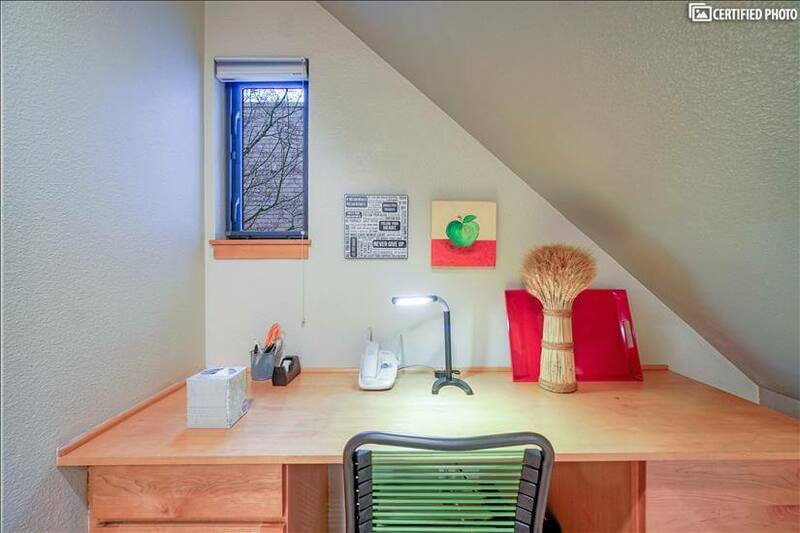 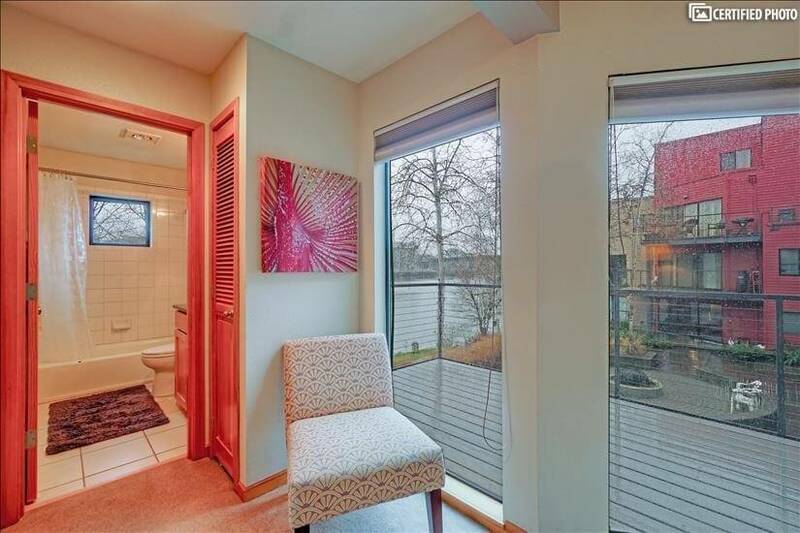 This amazing Portland corporate housing option is ideal for the business or leisure travelers. 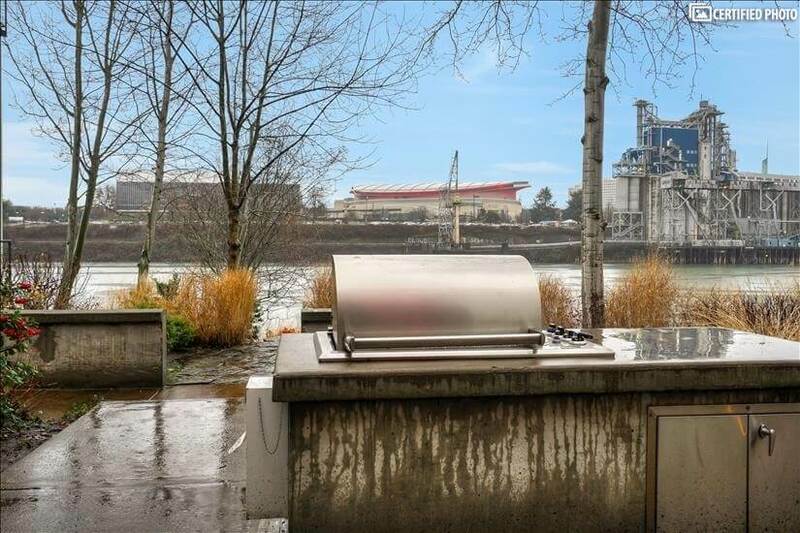 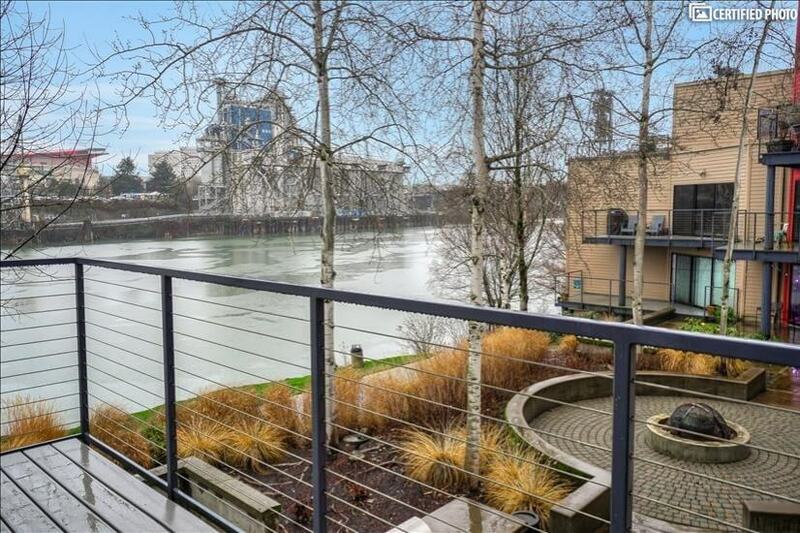 It is a Portland Pearl District furnished condo that sits directly above the waterfront offering fantastic views from every window and featuring a long list of premium amenities to enjoy throughout your stay. 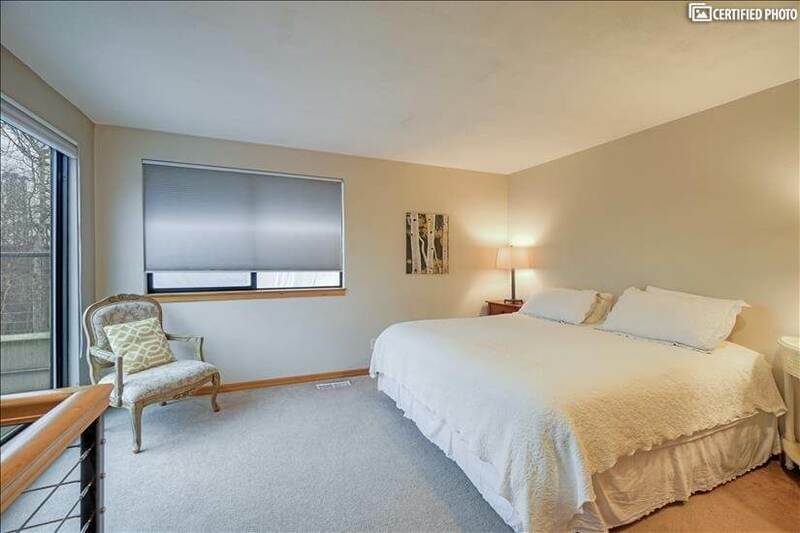 A two-bedroom, apartment-style property, it is in a fantastic location for the corporate traveler as well as those eager to explore the city from a fantastic hopping off point. 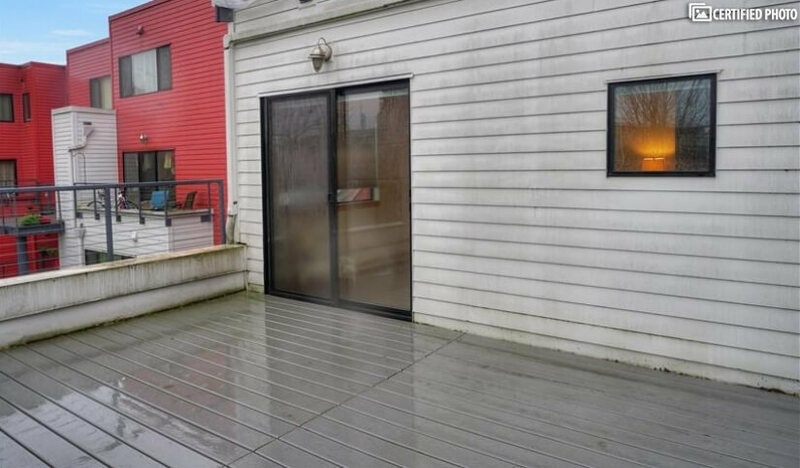 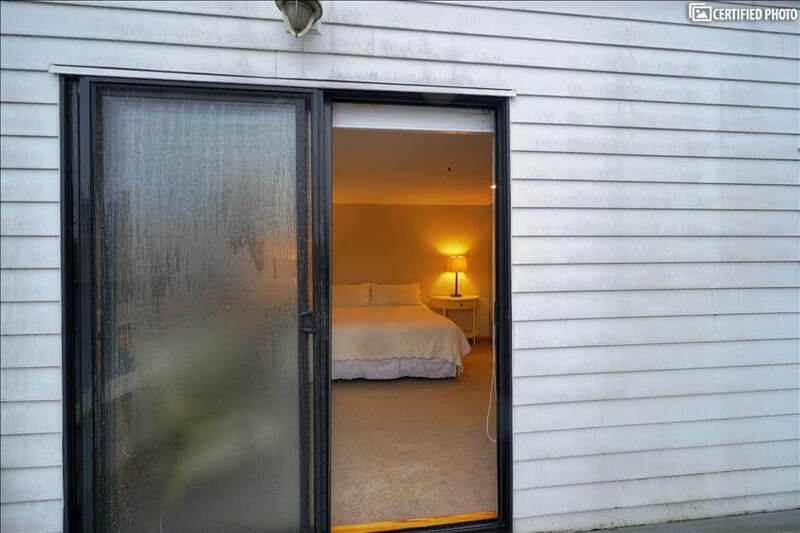 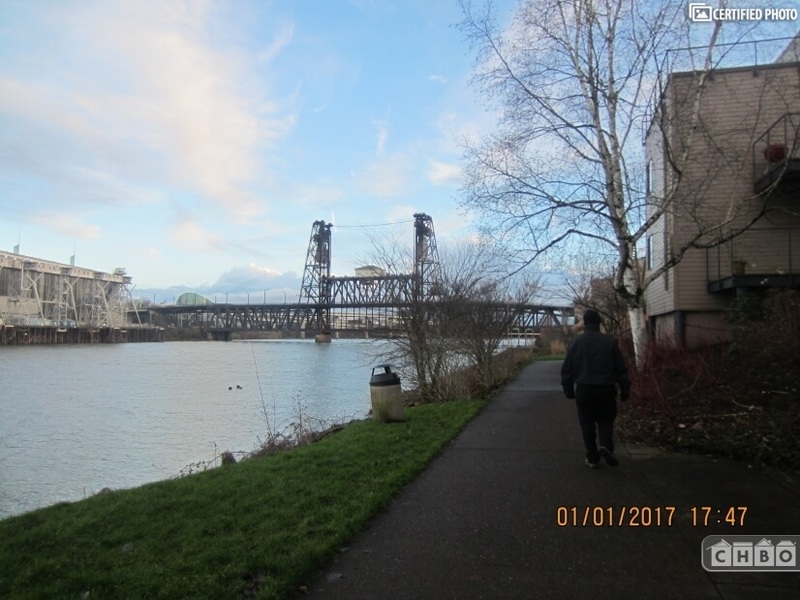 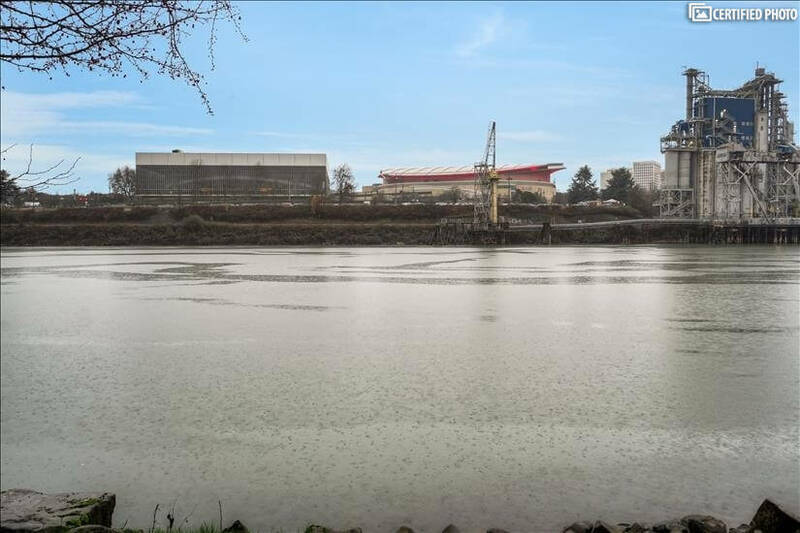 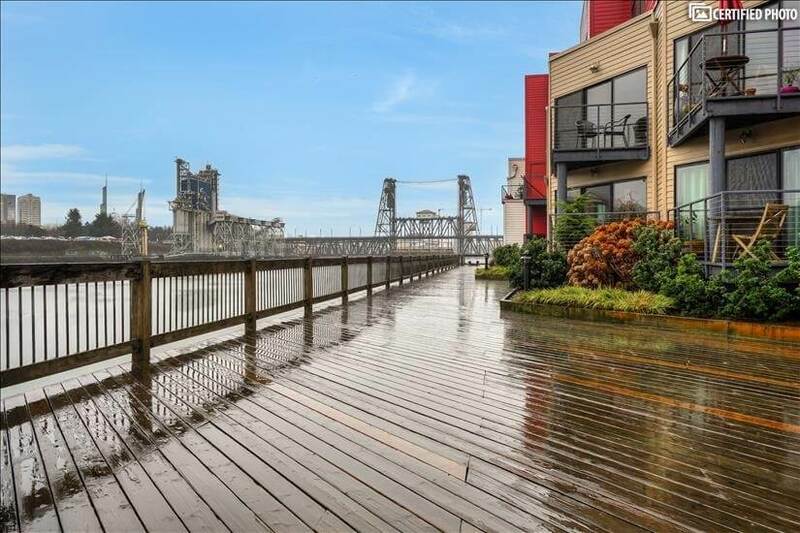 From the front door of this Portland corporate housing option, you are minutes from major freeways that can take you to corporate locations like Daimler, Precision Castparts, Boeing, NIKE and more. 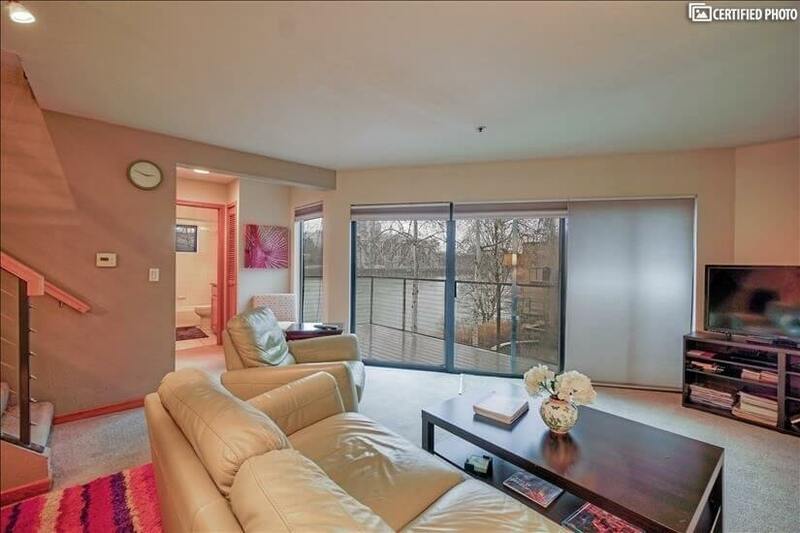 Yet, you are also moments from the best shops, restaurants, and destinations in the city, too. 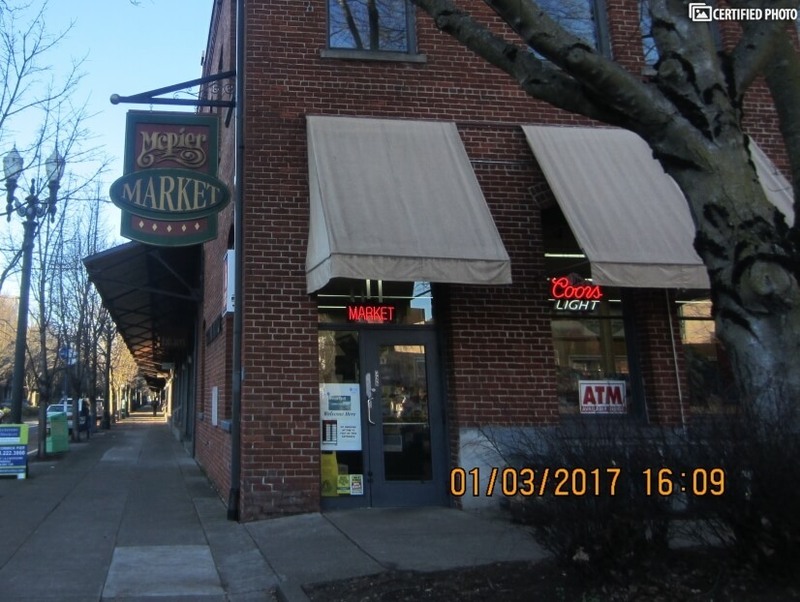 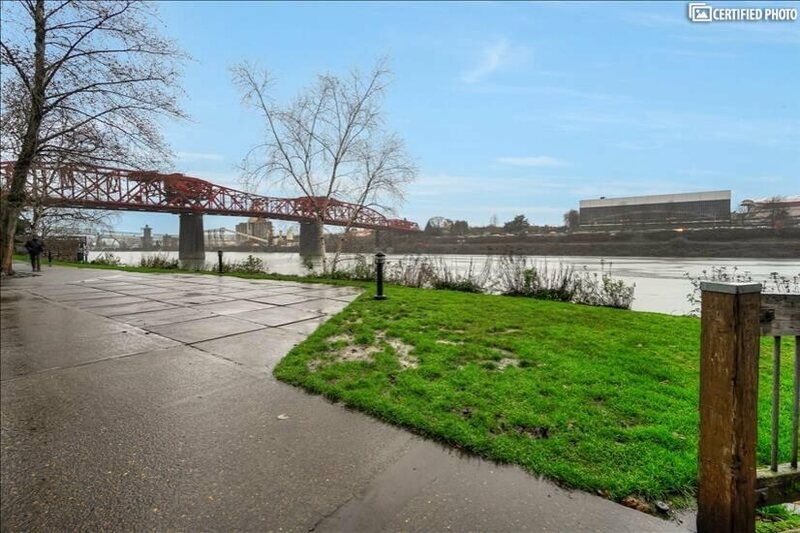 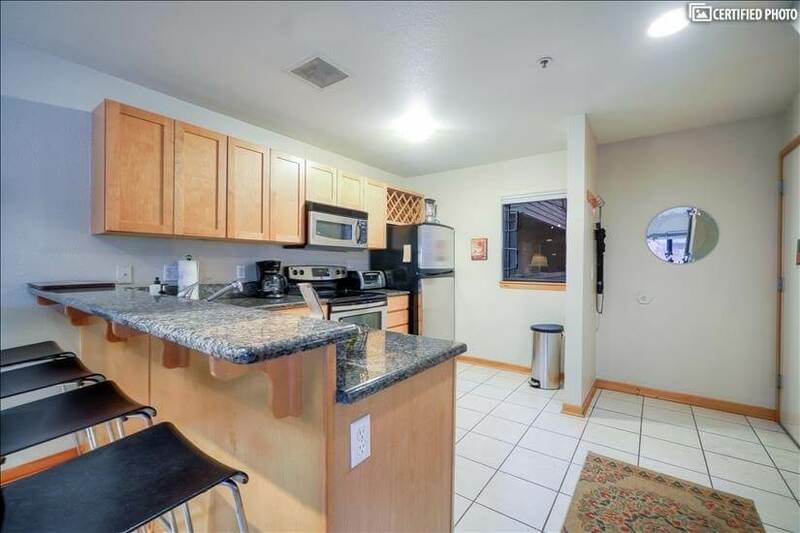 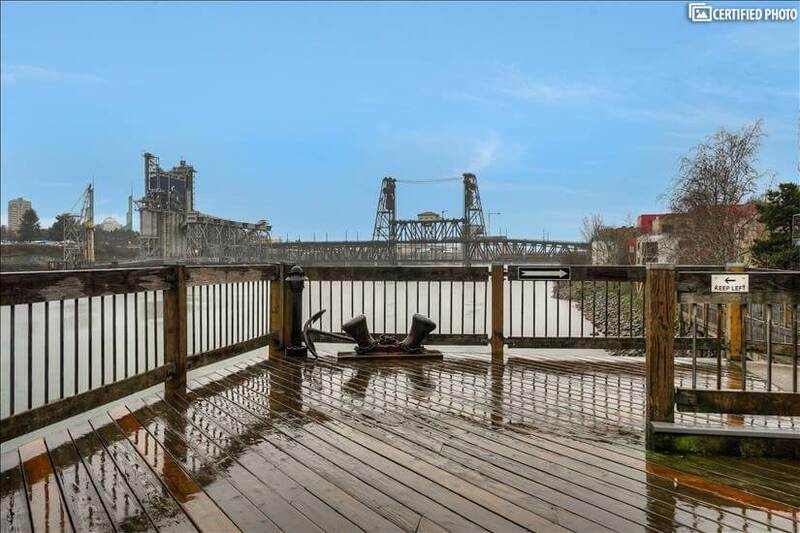 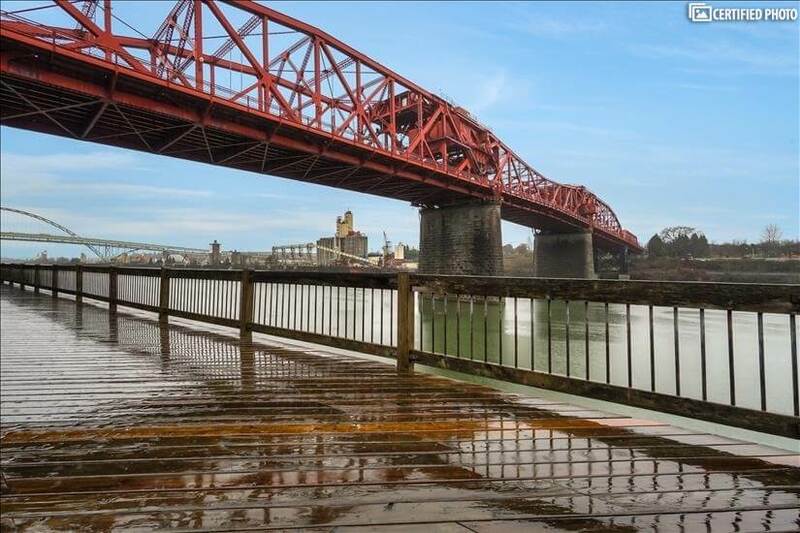 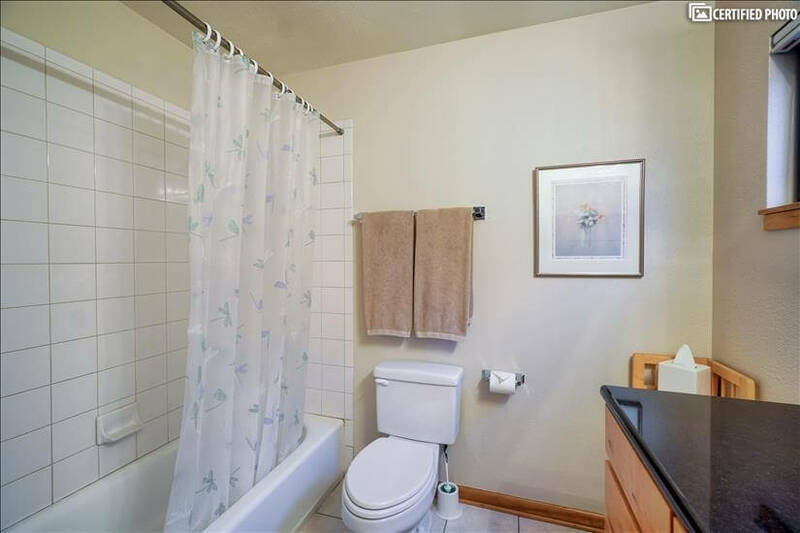 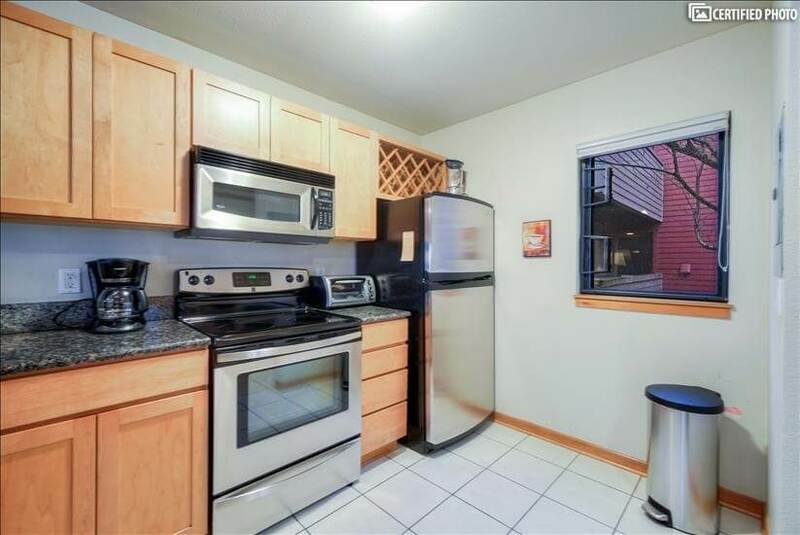 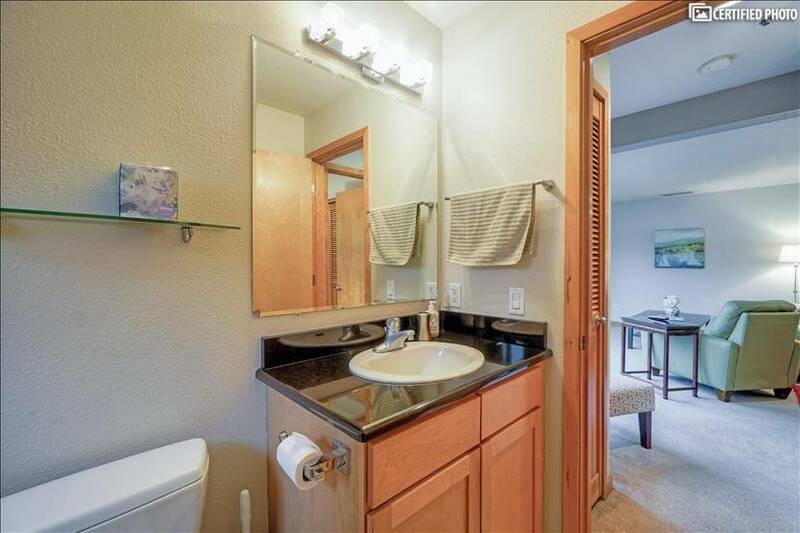 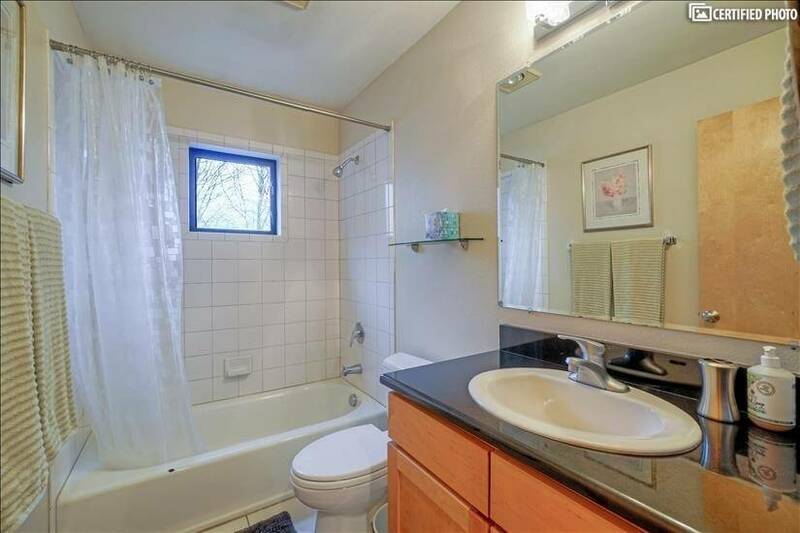 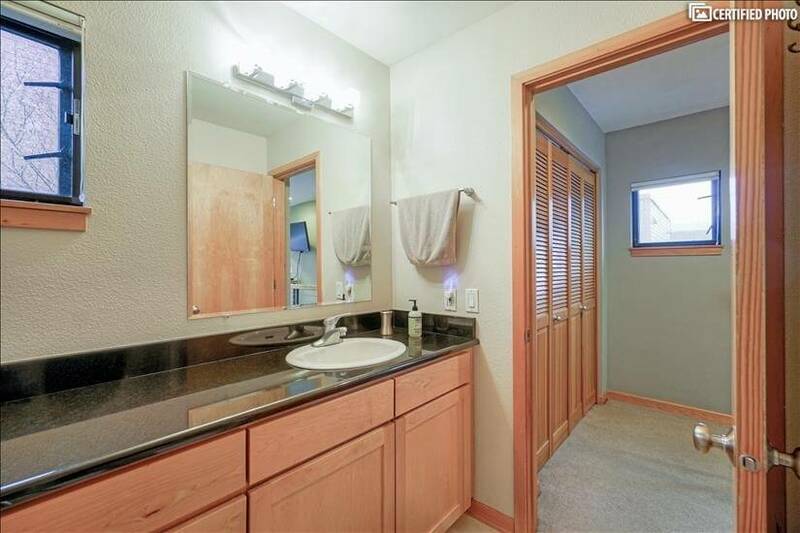 And because you are also within easy walking distance of public transportation, you may not even need a rental car to make the most of this Portland Pearl District furnished condo’s location. 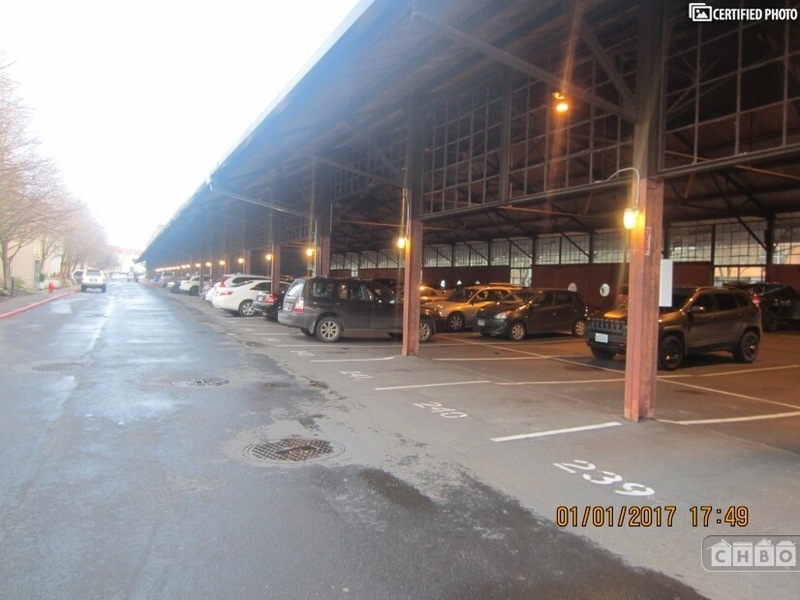 Of course, with parking included, you don’t need to worry about what to do with the car. 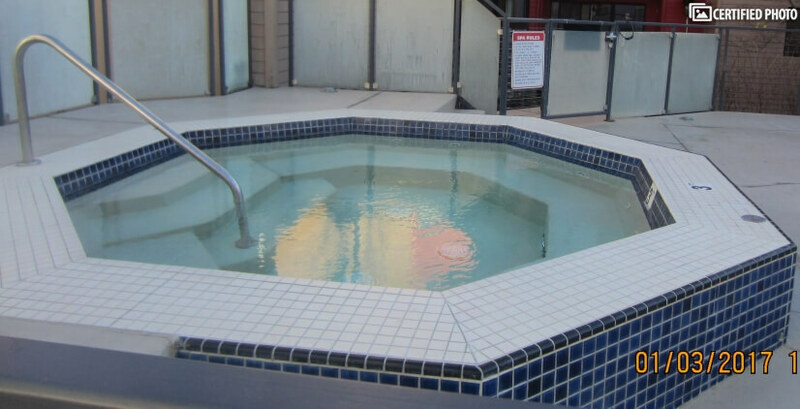 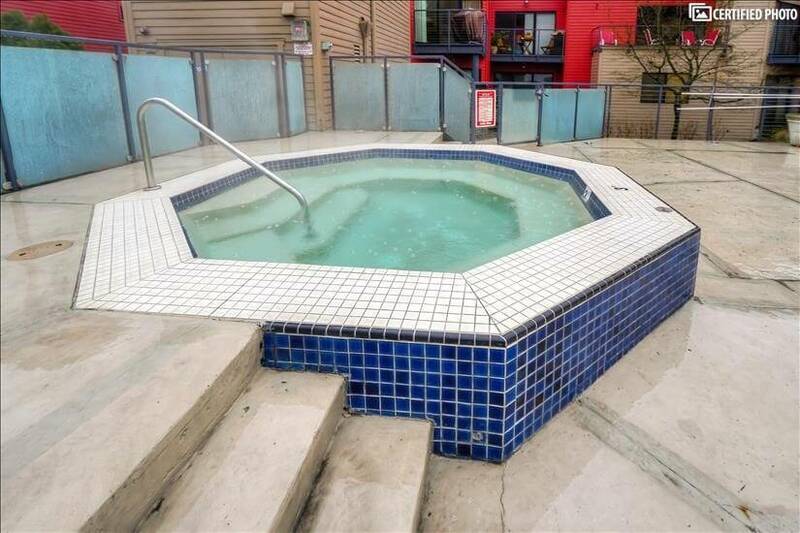 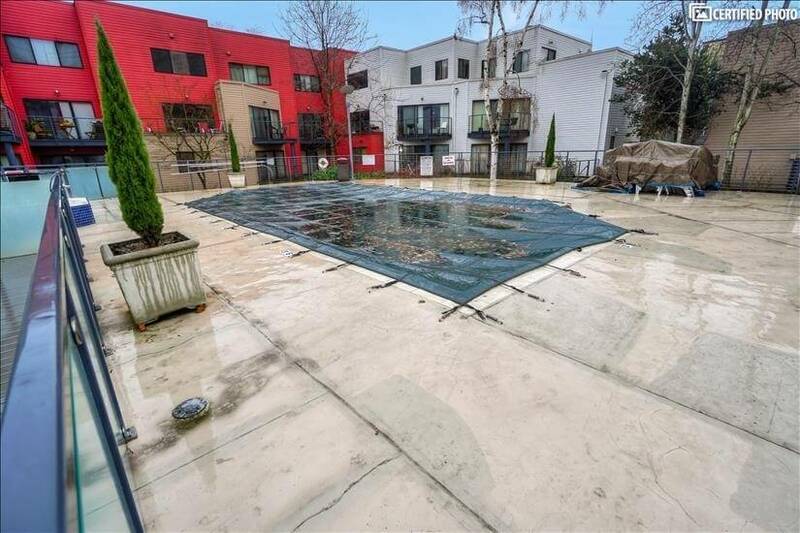 Your stay in this Portland corporate housing option also gives you access to the community pool and sun deck (during the warmer weather), and your stay in this CHBO Complete property means that Wi-Fi, cable, cleaning services and even local calls are all included. 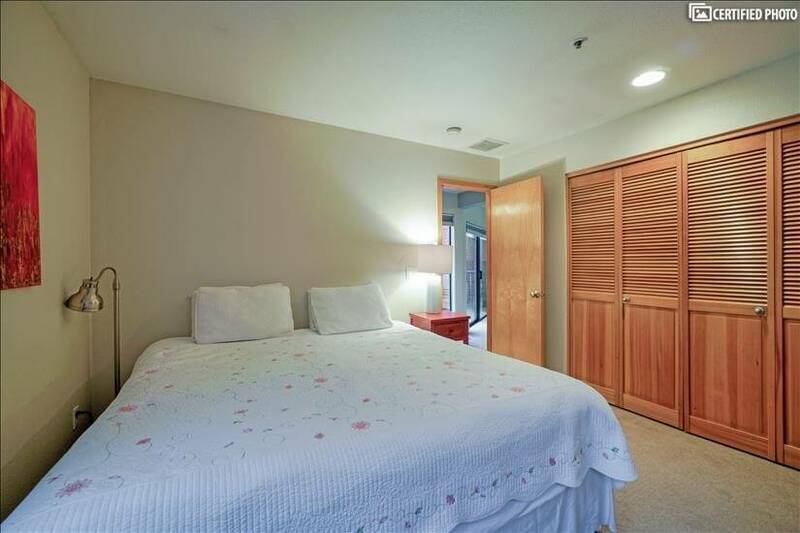 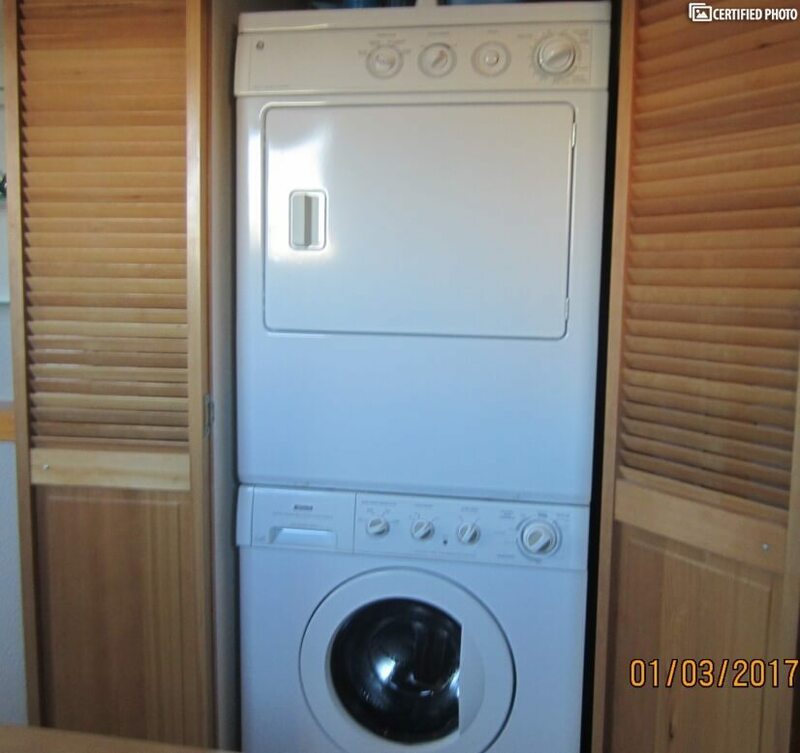 You’ll appreciate that your laundry facilities are on the premises, and that there are little gardens and walkways that lead you around the grounds and to the waterfront. 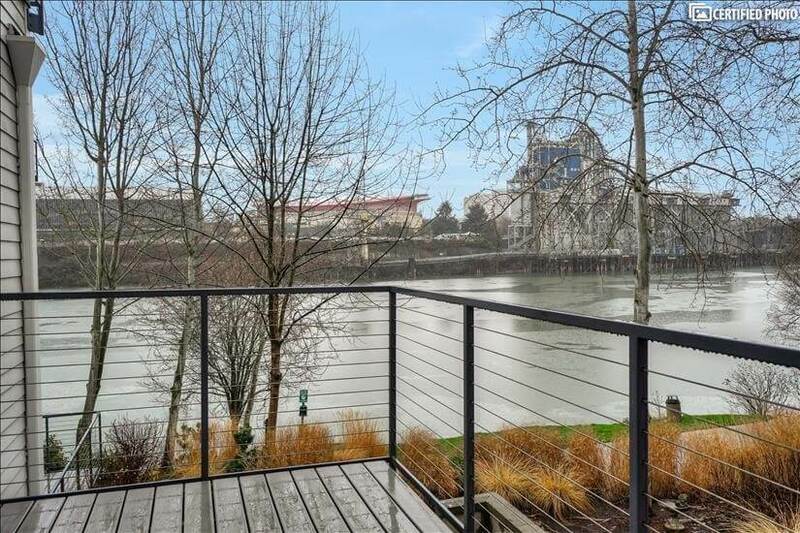 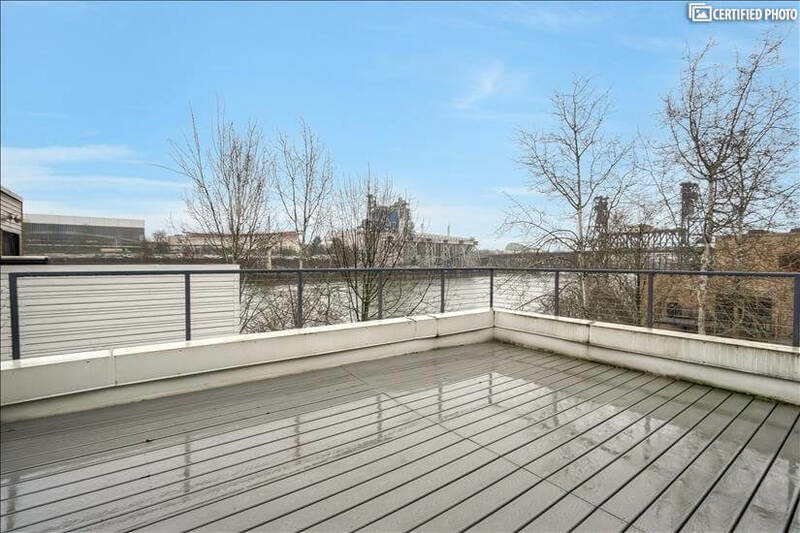 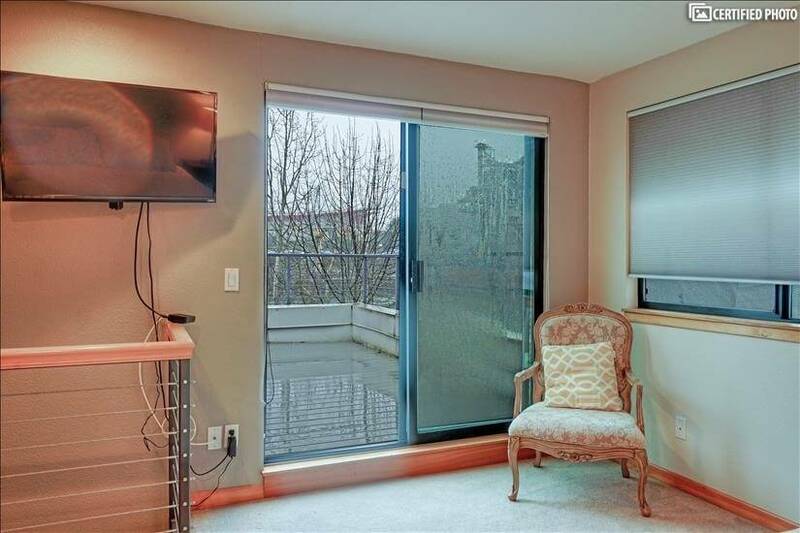 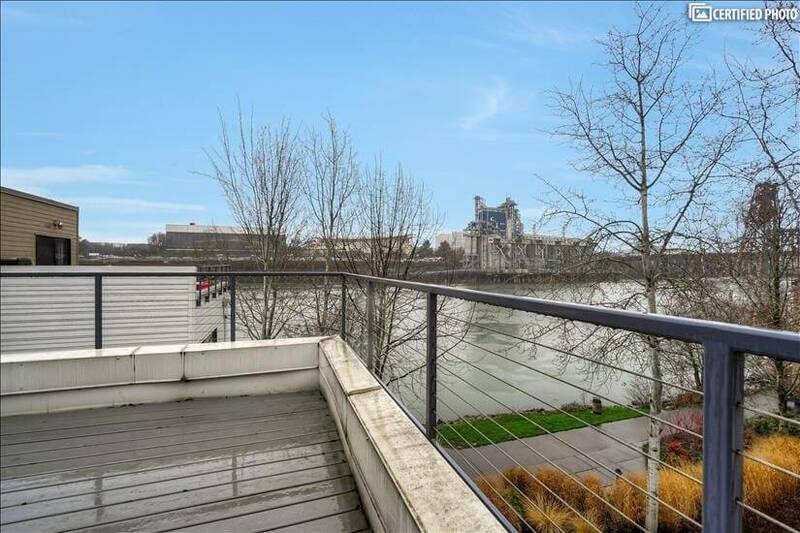 This Portland Pearl District furnished condo also includes a large and private balcony on each level to ensure you enjoy those amazing views at any hour of the day or night. 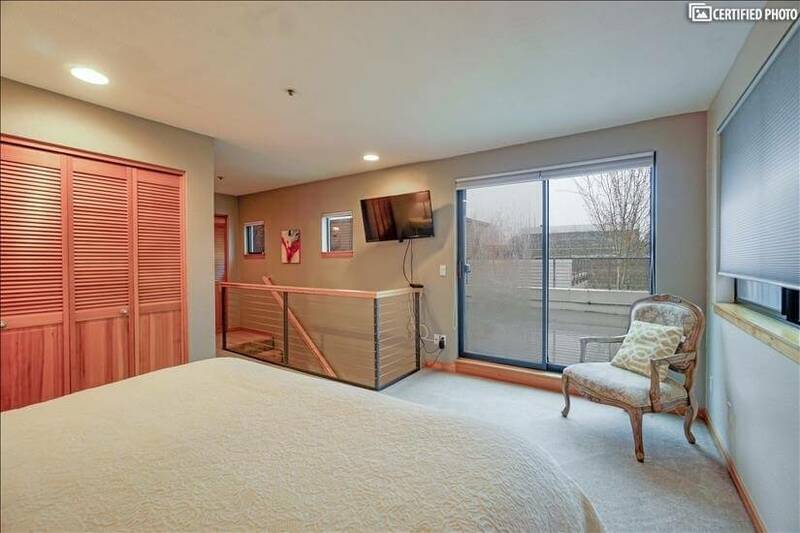 You reach the lower level balcony from the living room and the upper level balcony is accessible from the bedrooms. 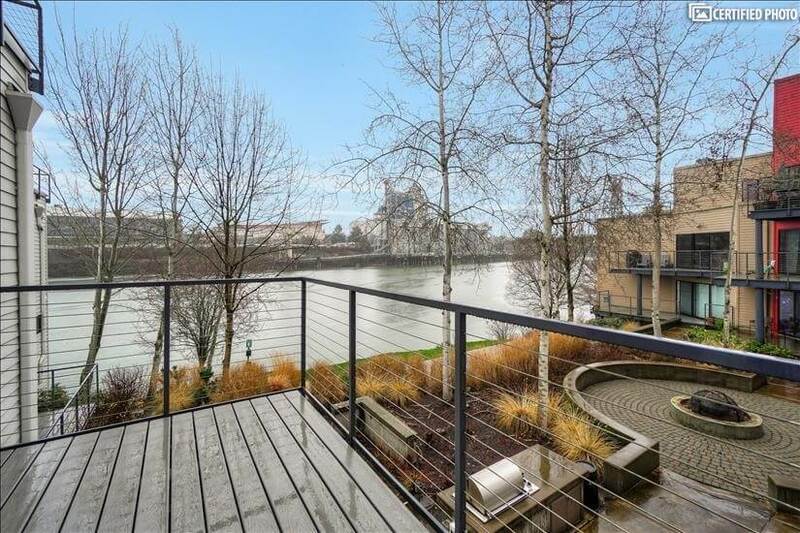 This Portland corporate housing option is designed with high ceilings and lots of natural light so the city’s rainy weather doesn’t mean dark days indoors. 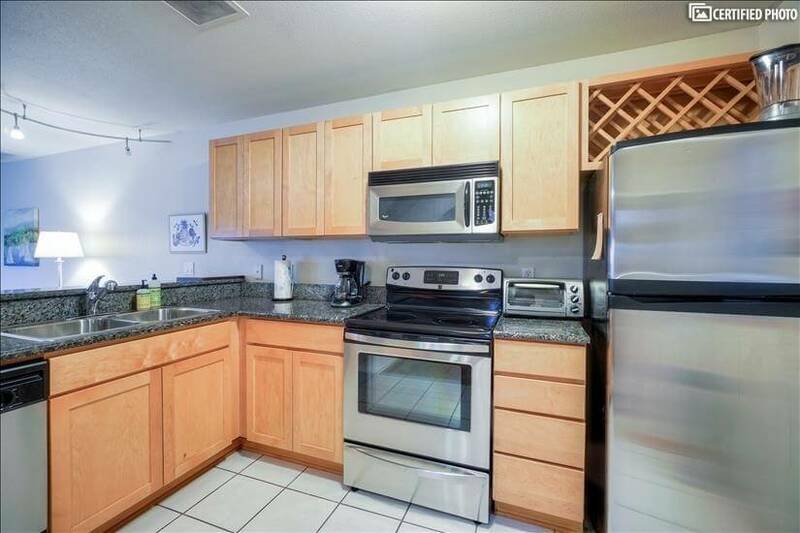 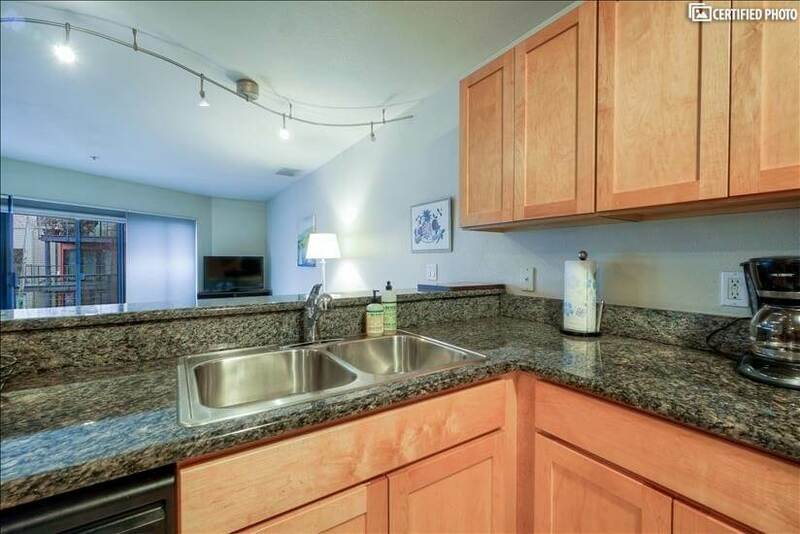 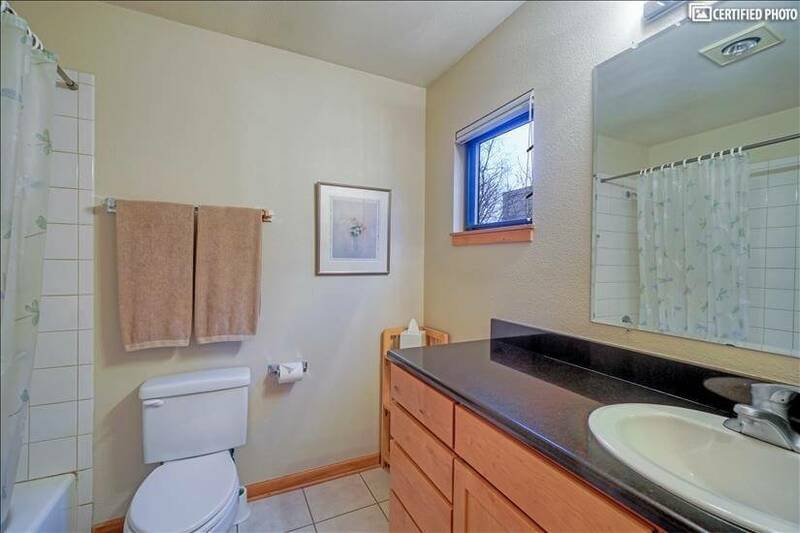 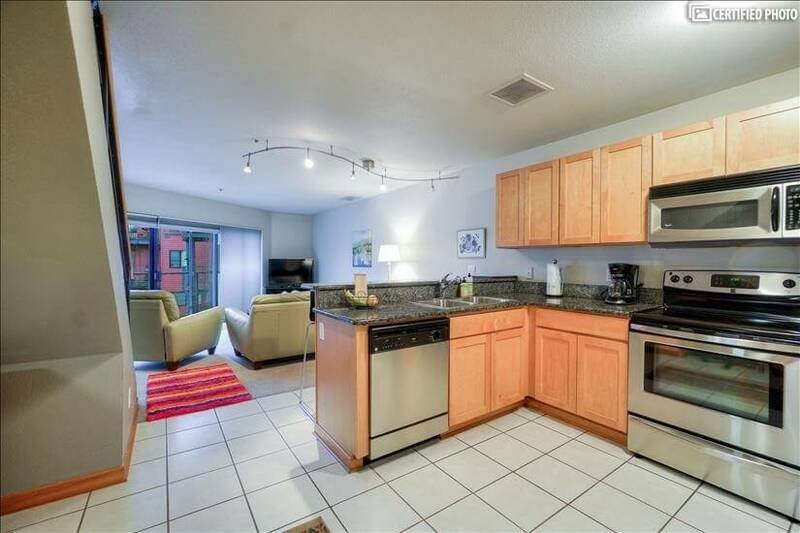 There is a spacious living room that backs up to a breakfast bar and into the open kitchen. 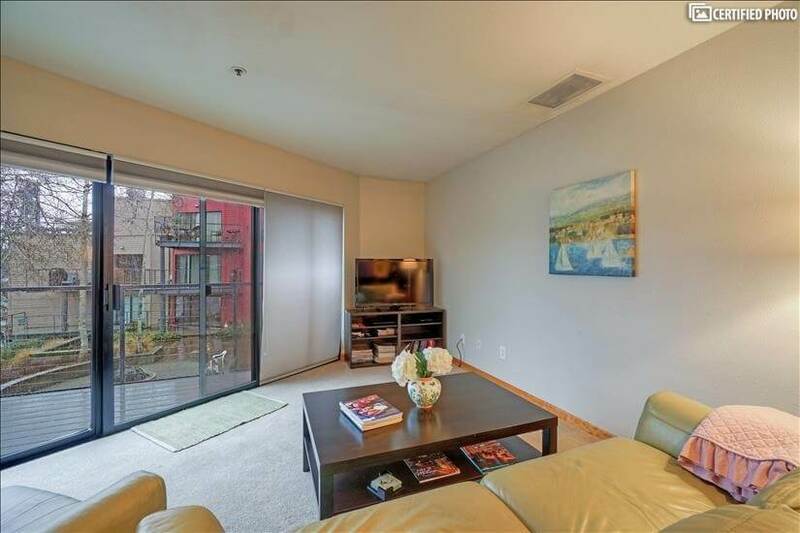 Because this is a Portland Pearl District furnished condo, it means you get premium appliances throughout. 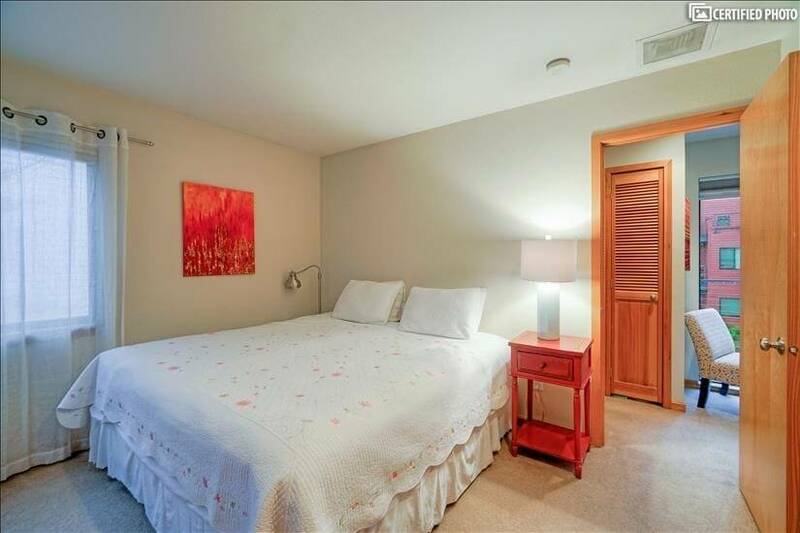 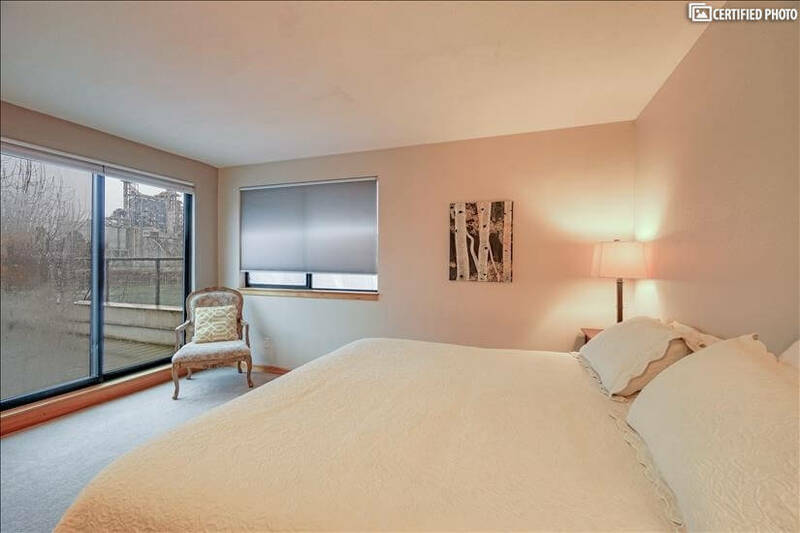 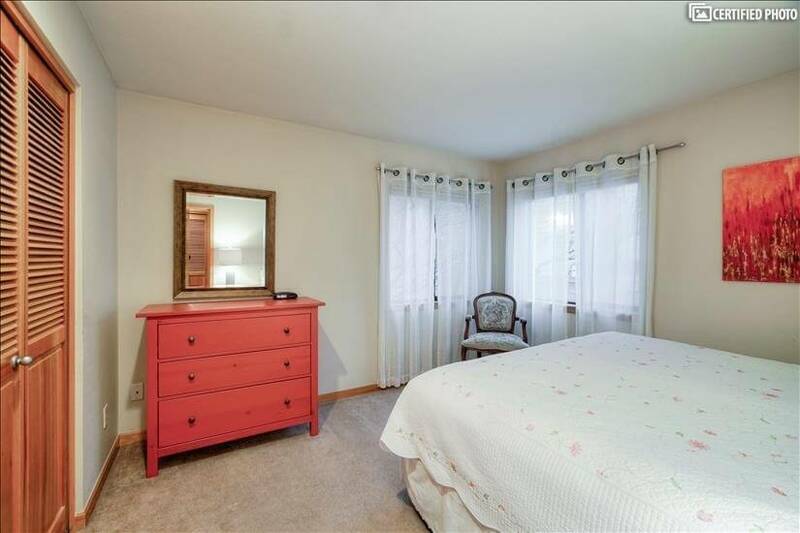 The bedrooms are both king suites with the balcony access and private baths. 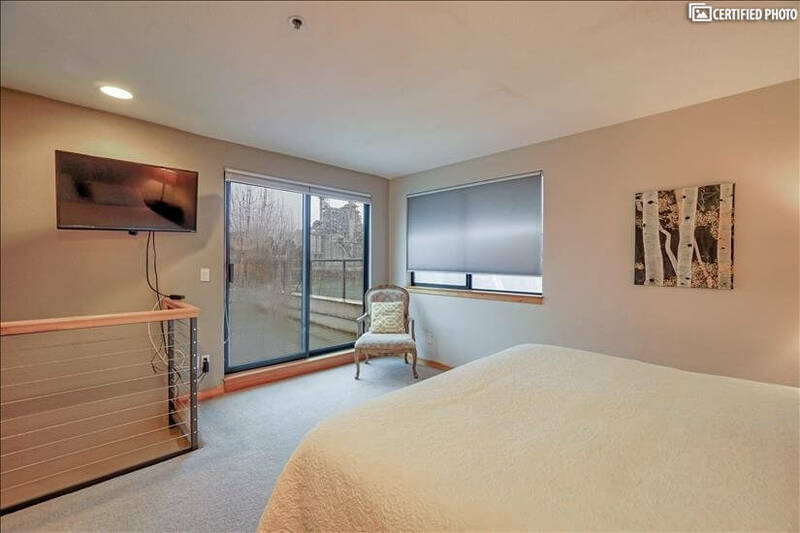 Whether on your own, with a colleague or traveling with the family, this amazing property puts the best of the city within easy reach and offers amazing comfort and style.